The entrepreneur is banging his drum again about the Government's 'shortsighted vote chasing'. Shame more don't join him. 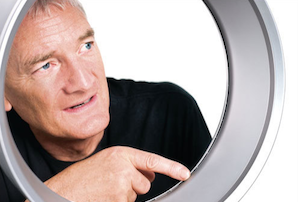 Sir James Dyson – he of the eponymous vacuum cleaners – has once again taken the Government to task over its ‘shortsighted vote chasing’ immigration policies. This time his ire was directed at home secretary Theresa May’s rumoured plan to turf foreign students out of the country once they graduate, rather than letting them stay put to look for jobs. ‘May’s immigration plans simply force the nimble minds we nurture to return home and create competition overseas. Why would they return?’ the billionaire entrepreneur wrote in a Guardian op-ed. Currently, non-EU students can stay in the UK for four months to look for work after graduation, and around 70,000 of the 300,000 at British universities in 2012-13 stayed put, according to the ONS. May’s plans, conveniently leaked to The Sunday Times two weeks ago as parties crank their electoral machines into gear, would mean they have to go home to apply for a work visa. Of course, the Conservatives’ time horizon doesn’t stretch much further than the May general election (May’s may be slightly longer, if she is indeed interested in a post-election leadership bid, as is rumoured) and one of its main focuses is on stopping its core vote haemorrhaging to anti-immigration, anti-EU UKIP. Business leaders, then, need to make their voices heard louder in this debate, so short termist politicking doesn’t do long-term damage to the economy. Groups like the Institute of Directors and CBI have been pretty good at speaking up, but the more business celebs like Dyson that join the chorus the better.